Includes two lock nuts and one coded key. Locks one wheel to your frame. Protect your wheel for a fraction of its replacement cost. Pinhead locks use a special coded key that comes with each lockset. The key is ergonomically engineered to install and tighten your locks. Each key is different, and comes engraved with a nine-digit code so it can be replaced if lost. With your key code, matching locks can be ordered to protect your other components or other bikes. A good 1st line of defense! ConsCheck your tightening torque before purchase! 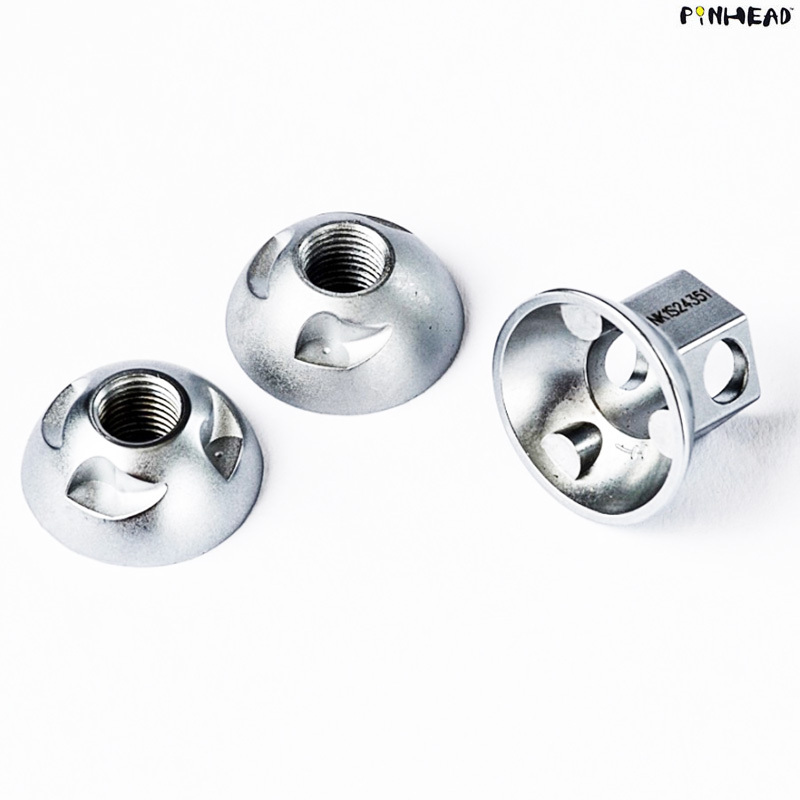 Easy replacement of hub nuts for my NuVinci 360 Hub. However, I used a torque wrench to tighten the nuts to the proscribed 30Nm, but i found that that on the drive side, this was insufficient torque to properly hold the shifter with the cables. The effect of this was to allow the shifter to rotate causing lack of full shifting. Bummer!!! I fixed this by removing the drive side Pinhead nut, & refitting the original nut. I still have the non-drive side nut on, so this provides a reasonable measure of security. Can I use this with a solid axel rohloff on a surly ogre frame? As we have never tried this we would have no way of knowing im afraid.